Find a vacation home to rent in Hemsedal Municipality from our list of vacation rental properties. Campaya has over 51 vacation homes available in Hemsedal Municipality, which give you the possibility to locate a unique accommodation in Hemsedal Municipality which completes your check-list in search for the perfect self catering vacation apartments in Hemsedal Municipality or vacation villas in Hemsedal Municipality. Very attractive and well-equipped holiday home situated in quiet surroundings. Why not come and stay at this beautiful and typically Scandinavian self-catering holiday home. The property is an attractive, sunny and child friendly cabin in beautiful surroundings. Right outside the city center of Hemsedal you find this dashing cabin. Spend the days outside in beautiful surroundings. Enjoy your next self-catering holiday in this spacious and attractive holiday home. The property is conveniently located in Hemsedal, with several activities locally available in the area. Welcome to a cabin out of the ordinary. This is an architect-designed cabin that stands out from most. Here you can sit in the tower and look up at the stars. Log cabin in an elevated position with a wonderful panoramic view of Hemsedal. Sunny and spacious terrace facing south-east. Good fishing in the river Hemsila down in the valley. 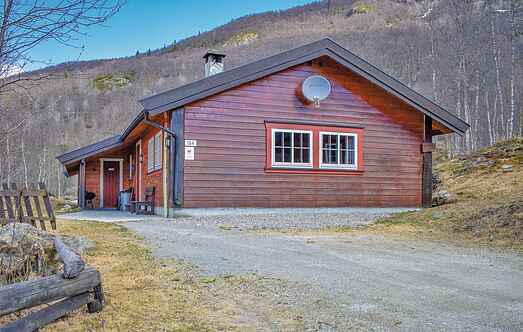 This large luxury cottage is located in Hemsedal next to the Skarsnuten Hotel. It offers a fantastic view of Hemsedal. This exclusive house is tastefully decorated. Cozy cottage located directly at Hemsedal Ski Center. In the summer, one can go down the short road to one of Norway's best trout rivers, Hemsila. Well-equipped and nice holiday home in Hemsedal with every possible comfort. The house is set high up with a panoramic view of the valley and it has a large, south-facing terrace. This cosy cottage offers a fantastic view of the mountains. Hemsedal Alpin is only a short distance away. Sunny cabin located on a farm with great views of water and mountains. Located at the foot of Skogshorn (1728 metres over sea). Great hiking, fishing, trails and cycling paths. Wonderful, luxurious holiday home situated right next to Hemsedal ski centre. The house is well-equipped and of a high standard. Lovely large terrace with a panoramic view. Cosy cottage at the brown trout river of Heimstil. Swimming in a pond nearby. Activity centre: 300 m. Golf and hiking. Fishing from boat in mountain lake.